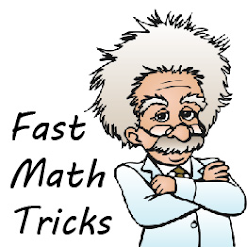 The efficiency of a device is defined as the percentage of the energy input that is transformed into useful energy. Switch off the air conditioner when not in use. 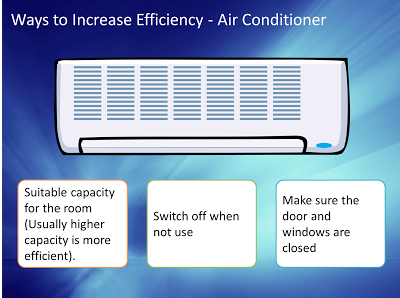 Buy the air conditioner with suitable capacity according to the room size. Close all the doors and windows of the room to avoid the cool air in the room from flowing out. Always remember to close the door of refrigerator. Open the refrigerator only when necessarily. Always keep the cooling coil clean. Choose the refrigerator with capacity suitable for the family size. 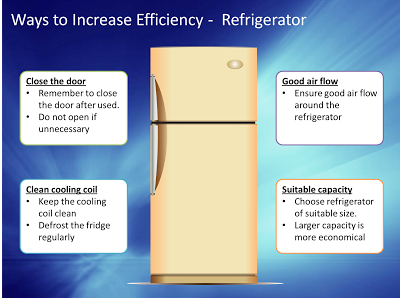 Refrigerator of large capacity is more efficient compare with refirgerator of small capacity. 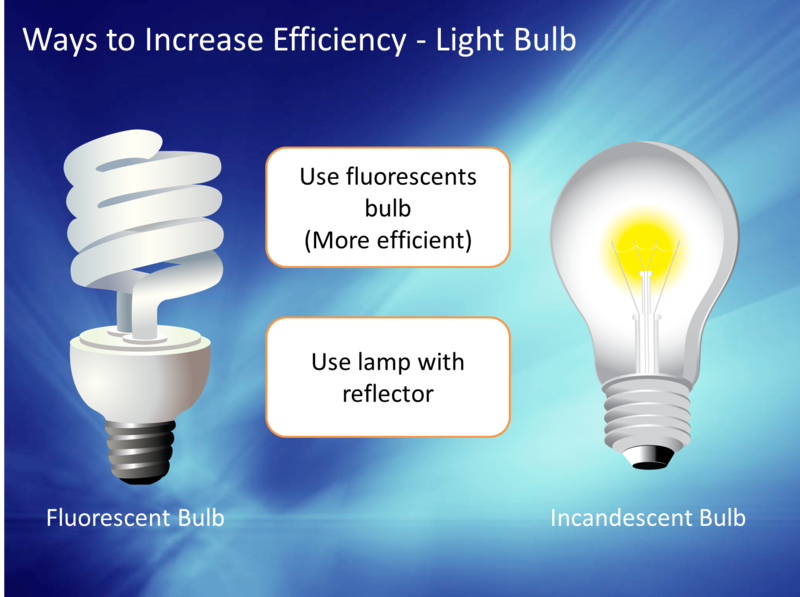 Use fluorecent bulb rather than incandescent bulb. Fluorescent bulbs are much more efficient than incandescent bulbs. Use a lamp with reflector so that more light is directed towards thr desirable place. 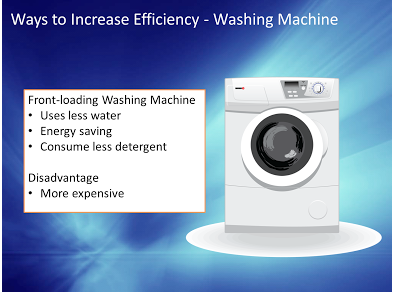 Use front-loading washing machine rather than top-loading wahing machine because it uses less water and electricity. Use washing machine only when you have sufficient clothes to be washed. Try to avoid washing small amount of clothes.